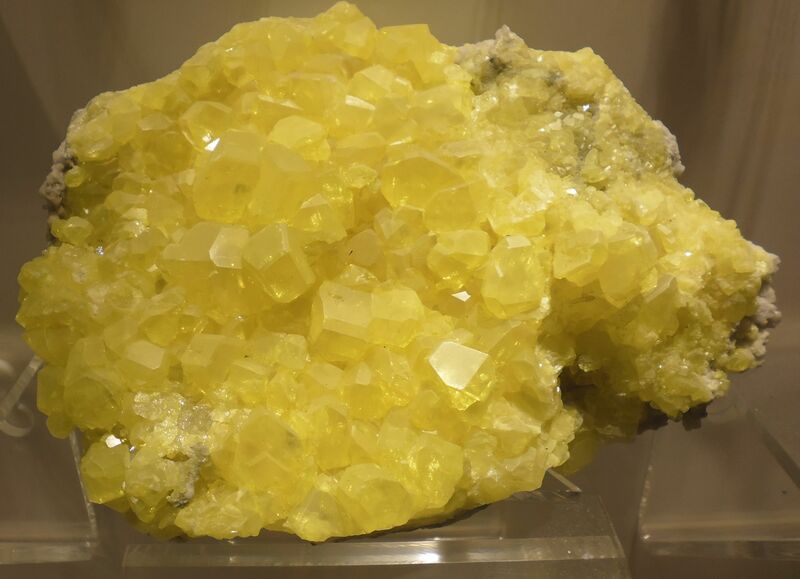 One of my friends is a big fan of pretty rocks and takes the most amazing micro photographs of them. 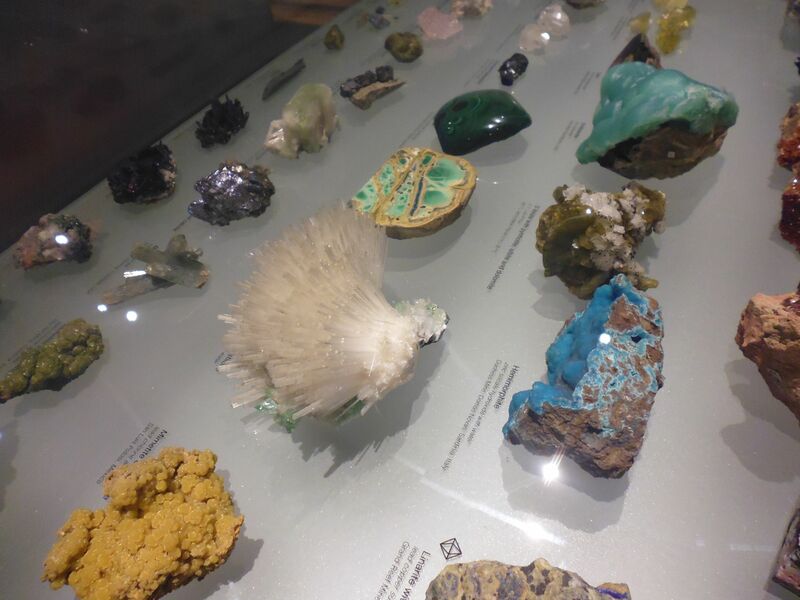 So, when I saw that a whole floor at the Australian Museum in Sydney was dedicated to rocks and geological stuff I just had to go. And I can sure see why she is fascinated with them — there are some AMAZING structures and colours below the dirt! Here are a couple of the photos I took; the rest are in my Flickr page for my recent trip to Sydney (https://www.flickr.com/photos/rhondamadeit/sets/72157646639145299/). 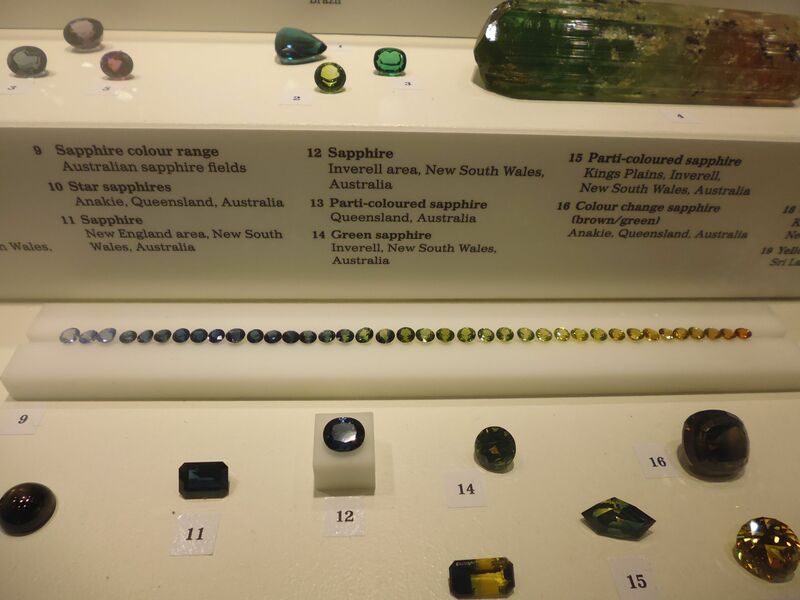 That line of stones shows the colour variations in sapphires found in Australia. 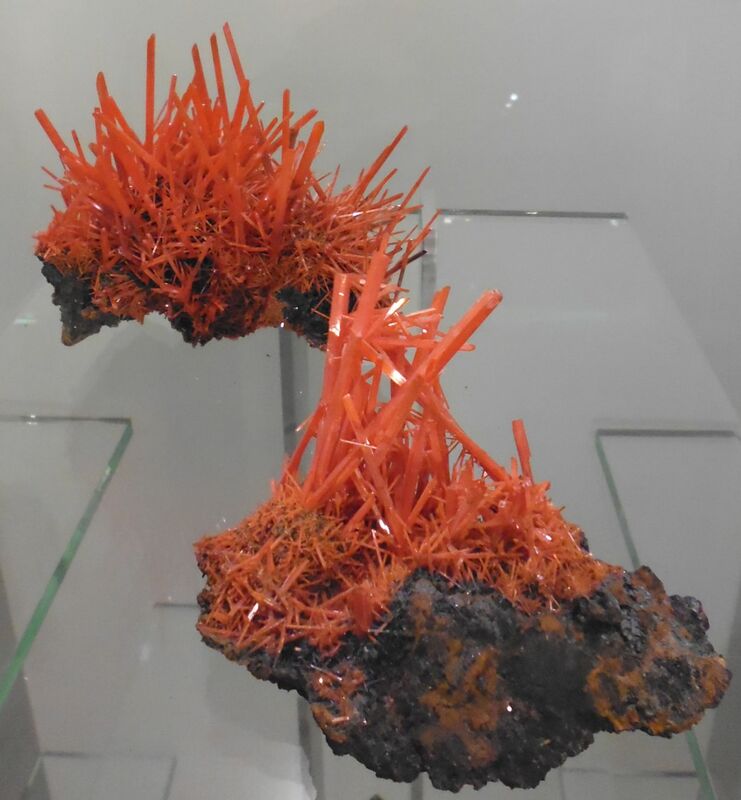 And you thought sapphires were just blue!